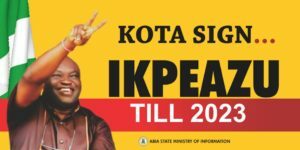 The Deputy Governor of Abia State; Rt Hon Sir Ude Oko Chukwu, has attributed the development and peace in the State to the tenacity of the State Governor, Okezie Victor Ikpeazu, Ph.D.
Rt Hon Sir Chukwu made this known to the Media and Publicity Team of the State Chapter of Peoples Democratic Party yesterday in his office. 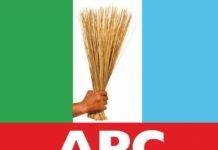 The Deputy Governor asserted that the State would have been in disarray, in view of the magnitude of attempts made to distract the State Government, if the Governor had no strength of character and commitment to the overall interest of the people of the State. He said the administration of Governor Ikpeazu is driven by the five pillars it mapped out on commencement, with the relevant enablers. Rt Hon Chukwu stated that the Ikpeazu administration has excelled in such areas as agriculture, where the government has made available four million seedlings of high-yielding Tenera Palm specie to Abia farmers. He pointed out that the State has effectively and meaningfully invested in both Cassava and Mushroom farming, to the admiration of some of her neighbouring States. On education, the Deputy Governor was delighted to state that Abia State, under Governor Ikpeazu, has been first in result of Senior Secondary Certificate Examination in Nigeria consistently for three years running. The Deputy Governor, who was a Speaker of Abia State House of Assembly, informed the Team that the State Government has done so well in Small and Medium Enterprises in Nigeria that he would be leaving for Abuja immediately after the chat with the Media Team to represent the State Governor in an award ceremony to be conferred on him by the federal government for achievements in Small and Medium Enterprises. 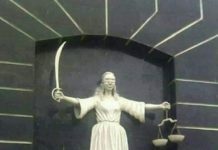 On the magic the State Government applies to make sure it enjoys peace with her neighbours, Sir Chukwu hinted that the Government of Ikpeazu has always been proactive in matters relating to inter-state boundaries. 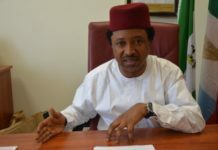 He said the government places a high premium on peaceful co-existence of her indigenes with their neighbours. He quickly reminded Members of the Team that Abia State shares boundaries with seven other States of the federation. 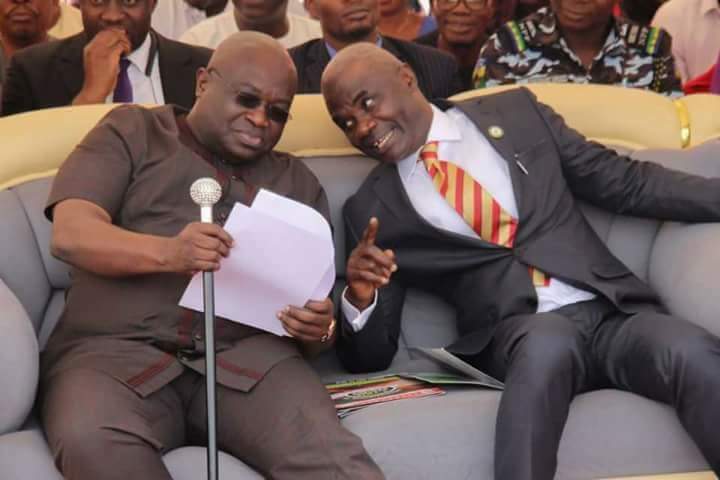 According to the Deputy Governor, the Ikpeazu government maintains an eagle eye on signs that could amount to threats to peace between the indigenes of the State and their neigbours and intervenes once such are imminent. When asked his opinion on why there is harmony between his Principal and him, Rt Hon Sir Ude Oko Chukwu simply attributed it to the fact that Governor Ikpeazu is a man with good heart. 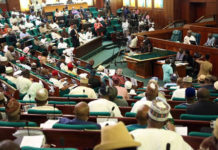 On rantings by the opposition in the State, the Deputy Governor quickly reminded the Team that the opposition in the State would always criticize only for the sake of criticism. 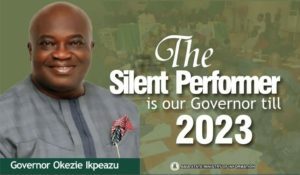 He said because they do not criticize constructively, the Ikpeazu government is resolute on discharging it’s mandate from the people of the State. 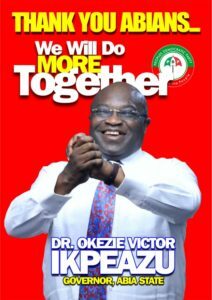 As he put it, while the opposition is facing book, the Ikpeazu administration is busy facing work. 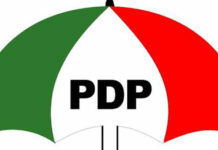 The Deputy Governor said the opposition that confronted PDP in 2015 can not muster the weight it had then in 2019 election. 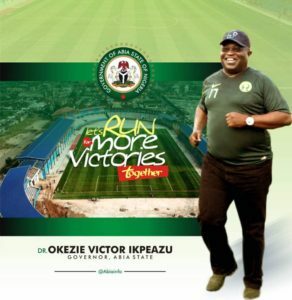 He pointed out that many who had supported the opposition in 2015 have since embraced the Ikpeazu administration because of its exceptional performance. He said the Governor goes to Aba almost on a daily basis and is hailed on the streets of the Enyimba City. 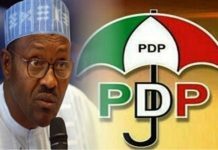 On the gale of defection by Governors and Members of All Progressives Congress in the National Assembly to the Peoples Democratic Party, the Deputy Governor expressed delight with the situation and pointed out that more should be expected because of the current situation of things in the country. Before the chat was drawn to a close, the Deputy Governor commended the State Publicity Secretary of PDP in the State, Sir Don Ubani, for the wonderful innovations he has brought to bear on the Publicity Machinery of the Party. He said by his creativity, Sir Ubani has made it easier for sectoral progress of the Ikpeazu administration to be widely reported. Sir Don Ubani, who was accompanied by his Assistant; Mrs Love Ezema and a Senior Special Assistant to the Governor, Mr Val Nnanna, thanked the Deputy Governor for managing to grant his team audience despite his very tight schedule.